Rather than using it as a political tool, the government urgently needs to reform the fund — before it runs out. Cho Yang-ho, the chairman of Korean Air, died in Los Angeles at age 70, only a few weeks after shareholders voted to remove Cho from the board of Korean Air. Cho’s death unexpectedly shed light on South Korea’s National Pension Service (NPS,) a government-backed pension fund that manages about 639 trillion South Korean won ($565.2 billion). This is because it turned out the NPS played a key role in removing Cho by actively asserting its rights as a shareholder of Hanjin Kal, parent of Korean Air. After Cho passed away, voices criticizing the NPS for possibly contributing to Cho’s death by orchestrating his ouster began to emerge. The idea behind the criticism is that the South Korean government could use the NPS as a tool to punish private companies that are not in line with the government’s view. The NPS owns a large amount of shares in many domestic firms, not just Hanjin Kal. The NPS currently lacks political independence. Its fund management committee, the highest decision-making body within the pension fund, is under the Ministry of Health and Welfare, which also has authority to appoint the head of the NPS. Other critics argued that the NPS should focus on achieving better investment returns rather than seeking opportunities to meddle with the management of businesses on behalf of the government’s interests. South Korea’s pension fund, the world’s third largest by asset size, has been under pressure to revamp amid concerns that its assets could dry out soon, which will put a majority of South Korean citizens’ post-retirement financials in danger. As South Korea society continues to age thanks to low birth rates, the number of people who can work is plummeting while the number of elderly people who need support is soaring. 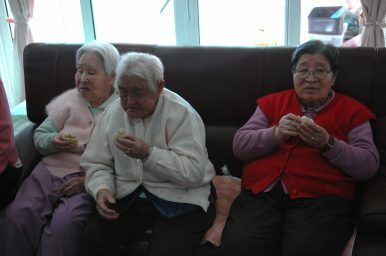 At this rate, more than 20 percent of the population of South Korea will be aged over 65 by 2026. Contributions from five adults to the NPS now support one elderly person, but in 50 years, one adult must support one elderly person. That will only be possible if the future generation pays more than what people now pay to maintain the pension system. The issue is that younger generations dislike such an idea. When the NPS was first introduced in 1988, it was designed with a slogan of “pay less and receive more” — without considering the low birth rate and aging population. The fund is still piling up because the number of pensioners is smaller than the number of contributors, but by 2060, the fund is expected to run out as the number of people able to contribute will dramatically drop. It is evident that the NPS desperately needs reforms. But the biggest hurdle is that no one wants to take the lead. It is huge burden for politicians to come out to say the obvious: “Let’s revamp the NPS. From now on you will pay more, and probably receive less.” After all, this is not ideal way to attract voters. The Ministry of Health and Welfare has come up with four measures. The first plan calls for keeping the current system intact, while the second plan calls for raising the minimum contribution amount. The third and fourth proposals are to raise the payment in part while raising mandatory insurance fees tied to the NPS. Regardless of which of the four options South Korea chooses, future generations are expected to pay more than 30 percent of their income as a pension contribution. Without the improvement of the system, there is no way to prevent the fund from drying up. There’s an urgent need to find a way to persuade the public to accept reform of the pension system, even if it is difficult, to prevent them from overloading future generations. Accordingly, the South Korean government should stop attempting to use the NPS as a tool to realize its political ambition and focus on the problem at hand.